Custom made plantation shutters are a beautiful addition to your home. Instantly add class and sophistication to any room, whilst adding character, curbside appeal and value to your property. 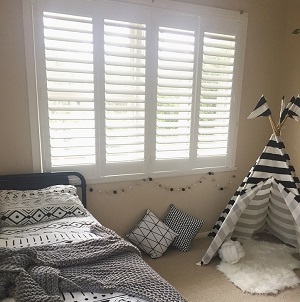 iseekblinds specialise in both timber plantation shutters - made from 100% solid basswood and PVC plantation shutters. iseekblinds work to always to provide you with the highest quality products at the most competitive prices. Just pay 55% now and the balance 6 weeks later! At the 6 week mark, we will send you an invoice for payment of your outstanding balance. Zip Pay and Zip Money are also available. Michael gives an overview of the iseekblinds new Plantation Shutter program. He takes you through the decision process we went through to find our new supplier with improved quality controls in place to ensure continued high-quality products now and in the future. 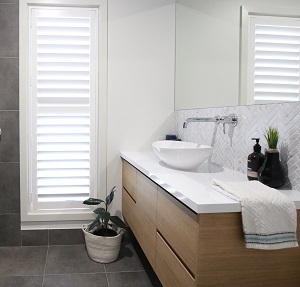 Offering both Basswood and PVC products, these shutters are colour matched exactly enabling you to use a mix of both materials throughout your home. Delivering to QLD, NSW, ACT, VIC & SA, our new "How To" Video galleries will ensure an easy DIY process, saving you $1000's and our new product hubs have been set out with clearer information enabling you to find everything you need in the one place to confidently measure, order online and install your Plantation Shutters. Basswood Timber or PVC Plantation Shutters - What's the difference? Michael discusses the major differences between Basswood and PVC Plantation Shutters. He shares his 2 simple rules. 1. Less is more 2. You must follow your window. The first step in understanding which type to use in your rooms is to measure your windows. Then using the Plantation Shutter Layout charts - which specify the maximum widths for each layout variation - decide which layout will best suit your window. Easy! We don't offer an in-home measure and install service. 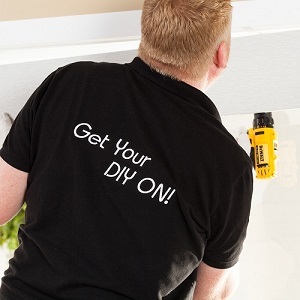 What we have created is a simple gallery of videos to show you just how easy it is to DIY. Michael takes you through a step by step process so you can measure your windows, order online and install your Plantation Shutters. 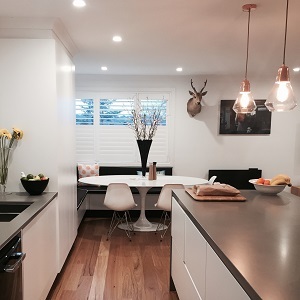 Following our easy DIY instructions and video guidance will enable you to achieve the look you want for your home at an affordable price point, saving you $1000's. Tools for success! Confidently measure and install for your Plantation Shutters with the iseekblinds Plantation Shutter Sample Kits. Michael shows you just how easy it is to achieve a professional result. Featuring both Basswood and PVC, each kit contains 2 x small panels and a sample piece of each of the frame options. Physically place these in your window to check for clearance and understand the fit to best suit your windows. 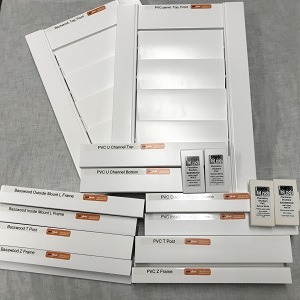 These kits will greatly assist you in understanding the How to Measure process and ensure you get the best possible result for your Plantation Shutters saving you $1000's with Michael's easy DIY guidance. There is a $125 charge to order these kits When you have finished with the kit, simply email iseekblinds and we will arrange to collect it. On average it takes approximately 8 weeks for your Plantation Shutters to be manufactured from placement of order. Our standard shipping rate for Plantation Shutters is calculated by square metre per order. This will be calculated for you as you proceed through the checkout process. You can see your delivery charges total in the Order Summary page just prior to payment being made. Delivery for Plantation Shutters is charged at approx $30.00 per square meter. If your delivery address falls just outside the specified zones, it may still be possible to deliver your Plantation Shutters - Please give us a call on 1300 664 257 to confirm. Please note additional freight charges will apply for areas outside of the specified Zones. iseekblinds does not add any margin to freight and passes on the surcharge cost direct from our freight company. 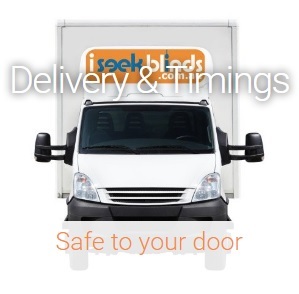 Within each State, there are specific Delivery Zones that iseekblinds can deliver to. Please refer to the map on our Delivery & Timings page. Please check your address. If you are unsure, please give the office a call on 1300 664 257 to confirm. If you live outside these coloured zones, iseekblinds will not be able to deliver your Plantation Shutters.